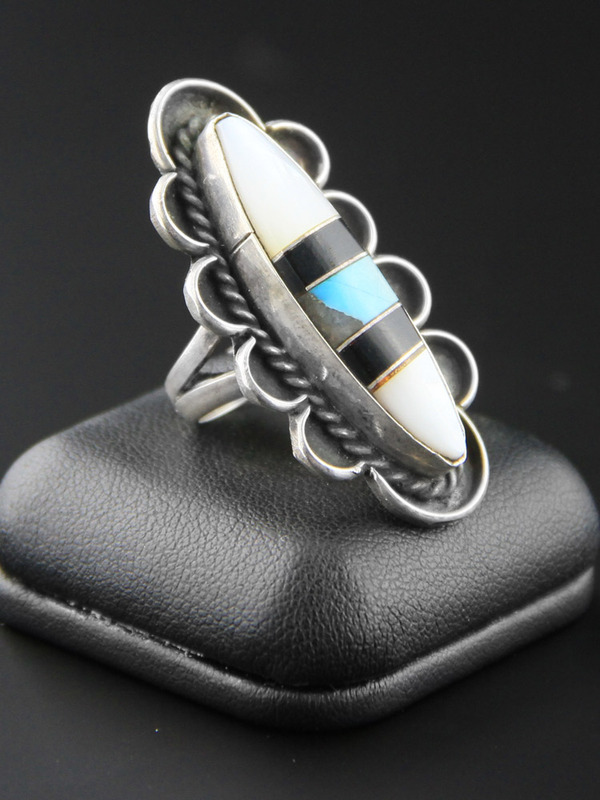 Gorgeous big, handcrafted c 1970, Navajo, Native American ring. 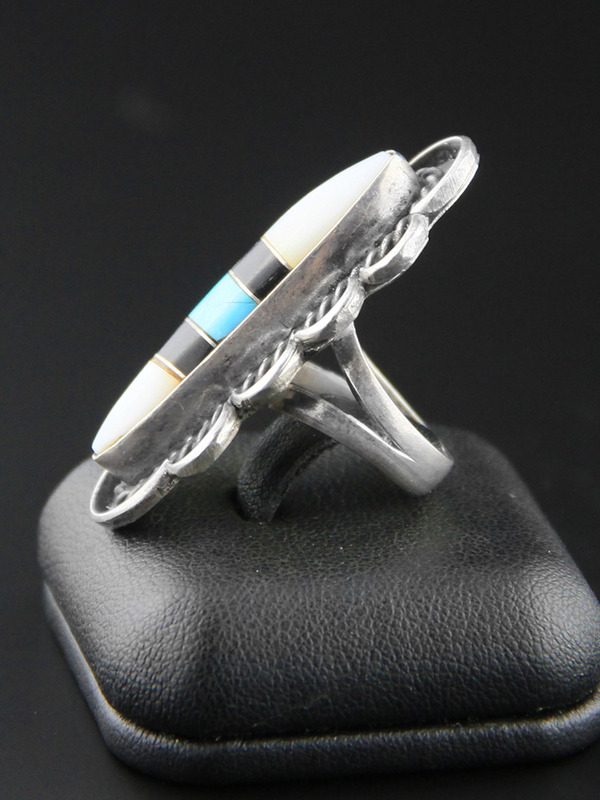 Sterling silver with turquoise, onyx and mother of pearl inlay and ornate scalloped border. 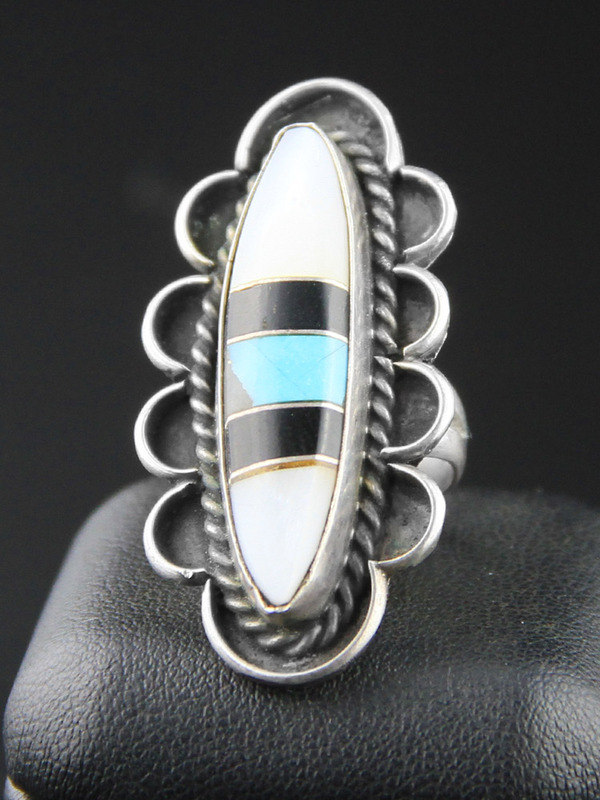 This is a big statement ring, with a small size band. Nice rich colours with quartz in the turquoise. Spectacular vintage condition. Shows mild wear commensurate with age, no dings or chips. Will come with some patina, as level of polish is a matter of taste. 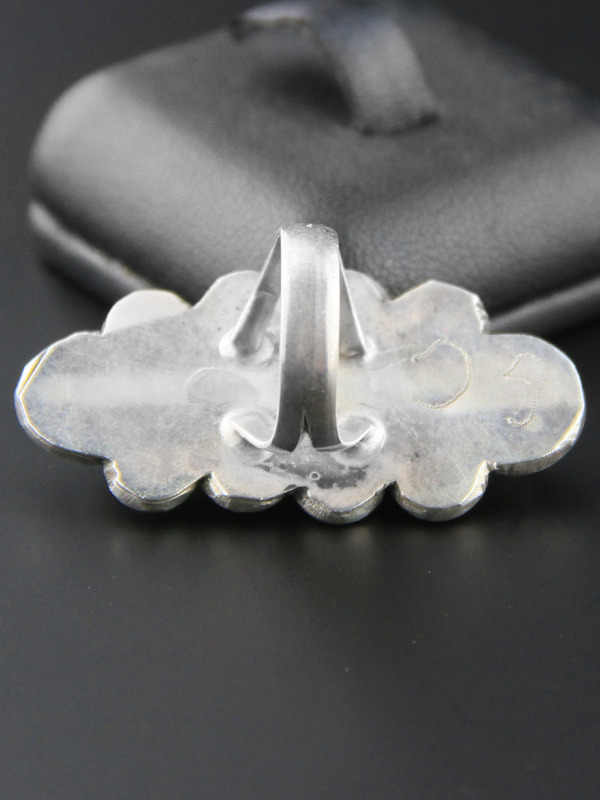 Has a handcrafted look to it - amazing vintage earrings.